Mark your calendars: Negroni Week 2017 is set to take place from June 5-11! As in years past, bars and restaurants around the world will join forces to celebrate one of the world’s great cocktails while raising money for a wide range of charitable causes. Bar sign-ups for 2017 are now open at negroniweek.com, and we’re excited to announce some new changes to the initiative. This year’s venue sign-up process includes two new features: an upfront donation and a curated list of charities. In addition to ensuring that charities receive all of the donations they’re promised, the upfront donation creates a simplified donation process for participating venues, allowing them to make an immediate donation and come back to the site to make additional donations if they so choose. This year we’re also offering a curated charity list. In addition to allowing us to have a list of charity partners that’s been fully vetted, this curated list simplifies the selection process for bars who have no idea ahead of time which charity they want to support. We also want to be able to have a greater financial impact on our charity partners, and a smaller list allows that to happen. This year’s official charity partner list is comprised of local, national and global charities across a range of causes, and they represent charities that have been popular among Negroni Week participants in the past. There’s something for everyone on the list—animals, arts, education, environment, health, homelessness, hospitality support, veterans, hunger, international aid, etc.—and you can check out the list here. keep and eye out for news about details regarding the 2017 festivities. 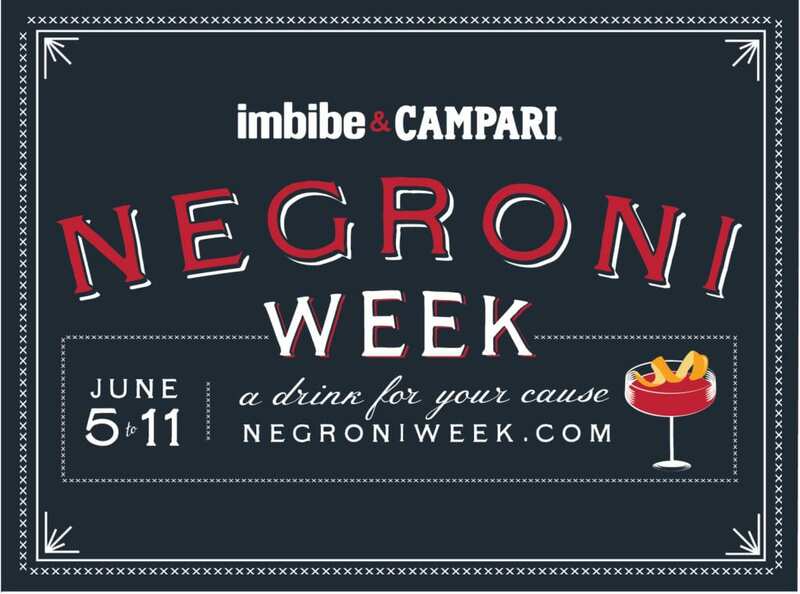 Email us at negroniweek@imbibemagazine.com with any questions or ideas you have about getting involved this year. And, of course, don’t forget to mix yourself a Negroni! Ryan Fitzgerald developed this drink using two ingredients that have a special affinity for tequila: the tropical richness of pineapple gum syrup and the bitter bite of an Italian amaro.